Hi friends! 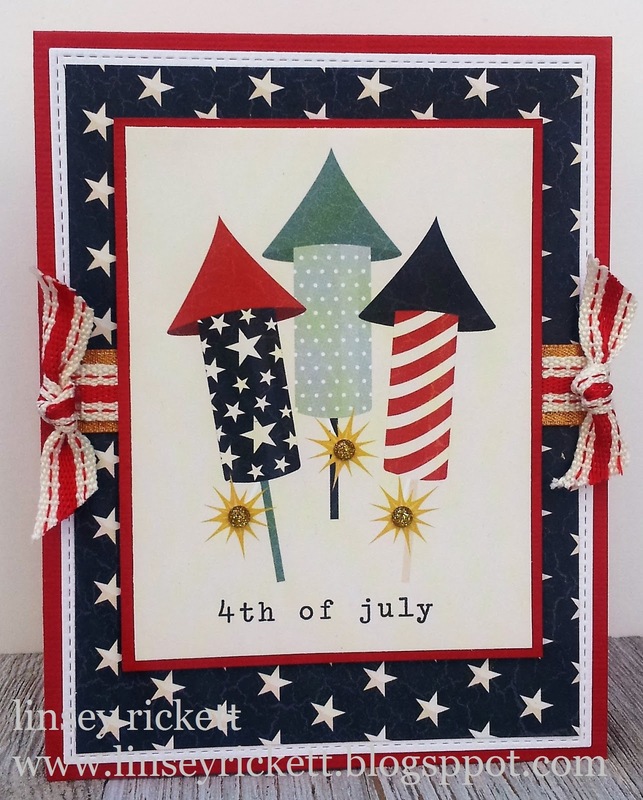 Linsey here today sharing a fun and easy card for upcoming Independence Day! I love the 4th of July for so many reasons. First and foremost, it represents our nation's fight for independence and victory of freedom, which we all enjoy today. I am very thankful to be an American. I try to remember how most places in the world today still have much oppression and how very blessed we are to be living here in the USA. I think it's the best place on Earth to call home. With this in mind, let us celebrate America, the beautiful with pride and glory this Independence Day! 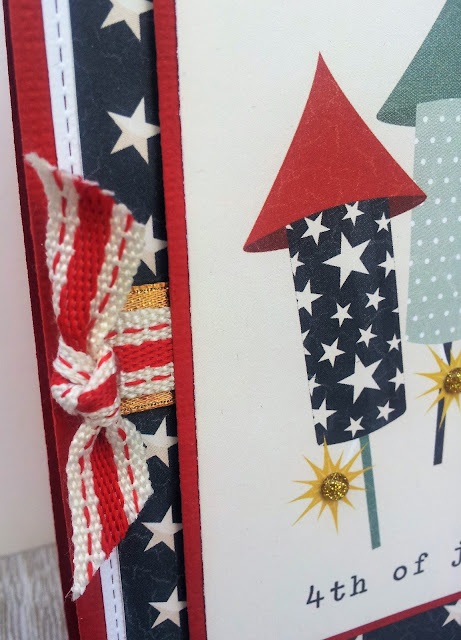 I used a strip of Double-face Satin in Old Gold ribbon and layered a thinner strip of Canvas Color Band with Stitch Edge in Red ribbon over it. I cut 2 shorter strips of the canvas ribbon and tied them in a knot to add to both sides. The image and papers are from the All-American Simple Set from Simple Stories. I added 3 small gold glittery enamel dots to the rocket pops, which brings out that sparkle in the Old Gold Satin. Thanks so much for stopping by! I hope you've found a bit of patriotic inspiration in my card today! Happy crafting!